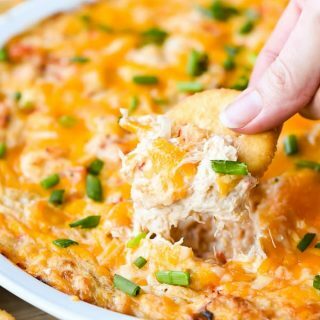 This Hot Crab Dip recipe is irresistibly creamy and cheesy with a sweet and tangy kick from a special ingredient! Y’all. 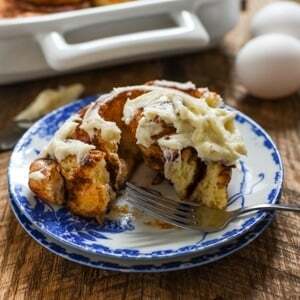 We kicked off the new year with some awesome healthy recipes. We made beet smoothies and breakfast quinoa and the best chopped salads. We showed those healthy new year’s resolutions who’s boss! It was a great three weeks. But alas, someone decided it was a good idea to schedule the big game for the beginning of February, and someone else determined the appropriate way to celebrate such an occasion is by consuming mass amounts of dip. Cheesy, creamy, queso-y, spicy–ALL THE DIPS. I don’t make the rules. I’m just here to deliver the goods. 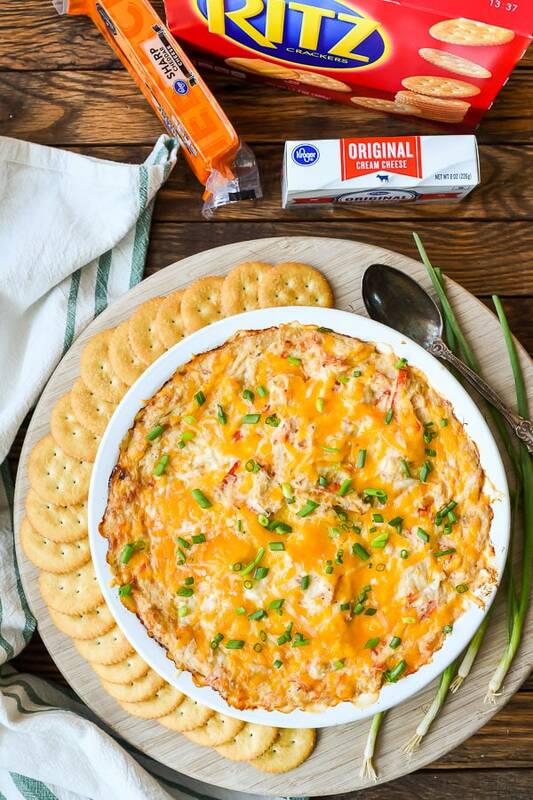 I have approximately 0% interest in the teams playing in this year’s big game (lifelong Cleveland fan here…*cue the sad violins*), but that certainly won’t stop me from showing up to the party with an empty belly and a big ol’ bowl of this cheesy Hot Crab Dip with RITZ Crackers. My hubby is a sucker for seafood dips. If I send him to the grocery store alone, he’ll most likely come home with a tub or three. I like those store bought dips okay, but I knew I could create something even better at home. 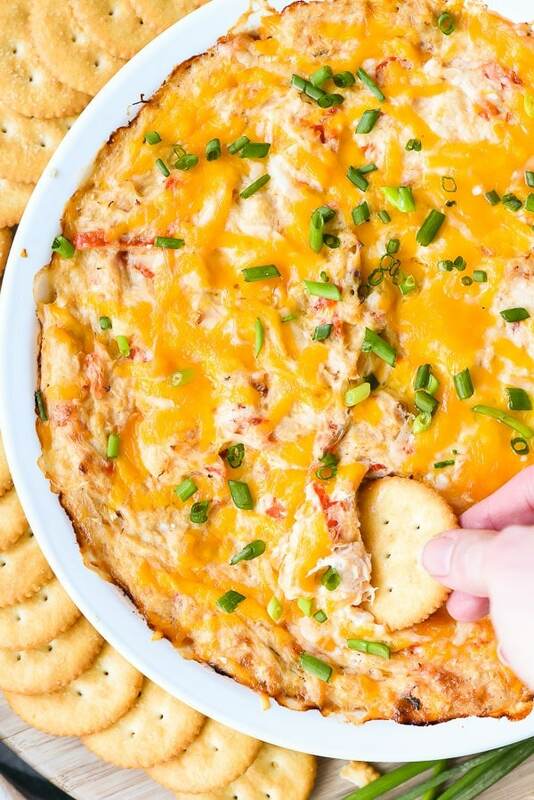 This dip starts with all of our favorite cheesy dip basics (cream cheese, sour cream, cheddar, AND Parmesan) then gets loaded up with tender hunks of crab (drooool), lemon juice, hot sauce, Old Bay seasoning, shallots, and my super secret special ingredient–peppadew peppers! If you haven’t tried peppadews before, you’re in for a treat. These jarred peppers have a sweet, tangy flavor that compliments so many dishes. I craved them allll the time when I was pregnant, and occasionally I still get an insane desire for a goat cheese and peppadew sandwich. They’re the perfect addition to a cheesy dip, giving it that extra little sumpin’ sumpin’ and a fun pop of color. You can find jarred peppadews at most local grocery stores, but I usually buy mine in the olive/salad bar section at Kroger (which I love, by the way). 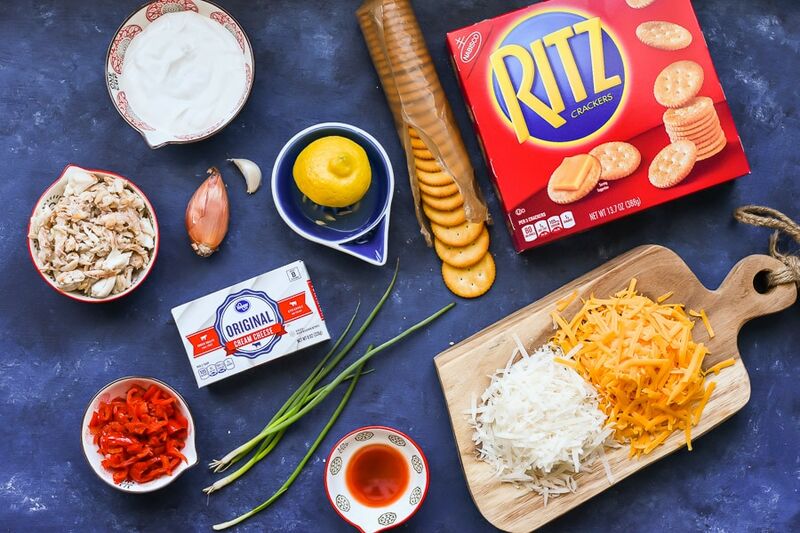 All the other ingredients you’ll need to make this delicious dip can also be found at Kroger, including my dipper of choice–RITZ Crackers! RITZ and I have a long history together. They were my comfort food as a child. The cracker I munched when I was feeling sick. The one I smeared with cream cheese for an after school snack, the one I crumbled on mom’s green bean chili, and the one I baked over roasted broccoli cheese casserole. 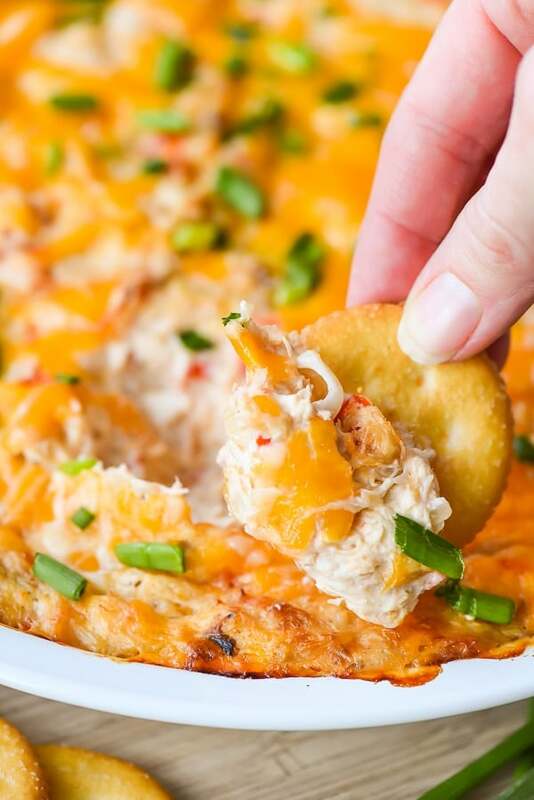 With crisp, buttery edges and just the right amount of salt, RITZ Crackers are the perfect vehicle for delivering hot crab dip to your face. Bring this to your game day celebration, and I promise the crowd will go wild. After all, when you don’t have any skin in the game, you can at least have skin in the snacks. 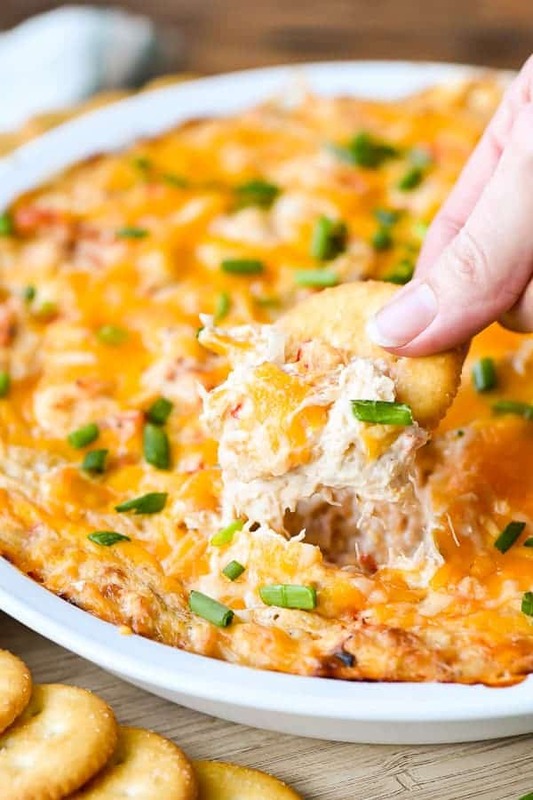 This hot cheesy crab dip is spiced with Old Bay and studded with peppadew peppers for a sweet and tangy flavor that's irresistible. In a small sauce pan, melt the butter over medium heat. Add the shallots and saute until softened and golden, about five minutes. Stir in the garlic and saute another minute, or until fragrant. Add the shallots, garlic, cream cheese, sour cream, 1/2 cup cheddar cheese, and 1/4 cup Parmesan cheese to the bowl of an electric mixer. Beat until well combined. Fold in the peppers and crab meat, then stir in the hot sauce, lemon juice, and Old Bay seasoning. Spread the dip evenly over a baking dish (8 inch square pans or deep dish pie plates work well), and sprinkle with the remaining cheddar and Parmesan cheese. Bake in the preheated oven for 20-25 minutes or until dip is bubbly and cheese is melted and starting to brown. 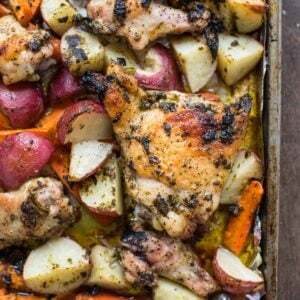 Remove from oven, sprinkle with green onions, and serve with crackers for dipping! You can buy jarred peppadew peppers at most grocery stores. Look for them in the deli, cheese, or Italian food section. You might also want to check the salad/olive bar, where you can buy as many or as few as you like. Would it be bad if I took this dish to my room to hide and eat the entire thing by myself?? This looks amazing!